In both the 1st and 2nd periods the Golden Knights controlled play for a majority but struggled down the stretch of the periods. 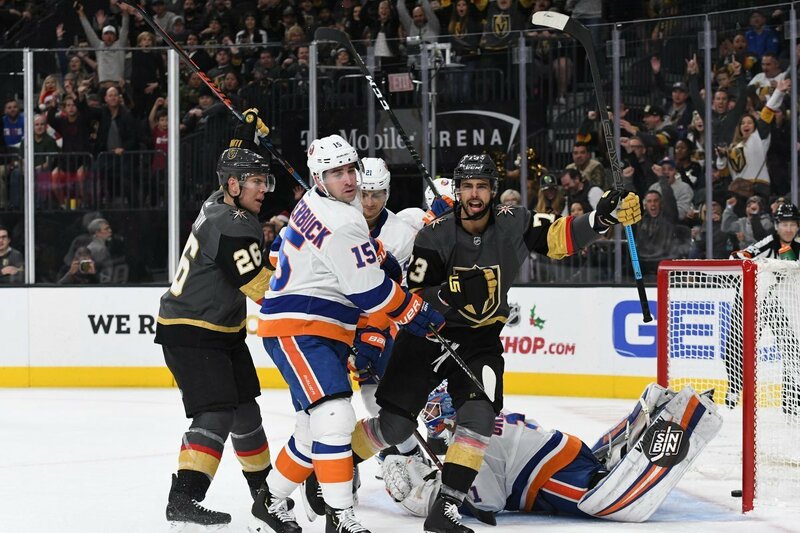 The Islanders scored twice in the final two minutes of the 1st and should have tallied another at the end of the 2nd but the shot sailed high. In between those stretches though, Vegas played tremendous hockey with their first goal from Brandon Pirri. Then the Golden Knights appeared to tie it but an offside challenge took the goal away. A 4-on-4 goal by William Karlsson tied it up and moments later a perfect feed from Reilly Smith to Paul Stastny gave the Golden Knights the lead. How VGK’s shift length may have cost them at the end of the periods. Do not change the new top 6! Reilly Smith was on a mission forechecking against the empty net. His hard work pays off for an empty net goal by Nate Schmidt. Terrific night for Smith. Pirri is going to do good things on this line. This team is very fortunate to have a player like him to fill in when a top 6 guy goes down. Luckily it hasn't happened too too much in the short history of the franchise.